E-BIKE Electric Scooter Bike License Plates 4''x7'' by scooter at Melon City Bike Club. MPN: Scooter. Hurry! Limited time offer. Offer valid only while supplies last. 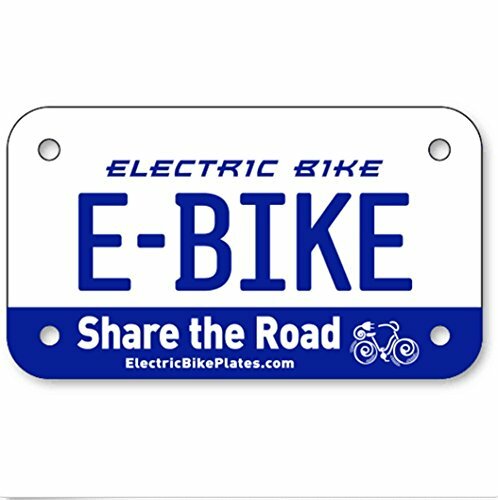 This novelty license plate is suitable for both electric bicycles and scooters. Get noticed and make riding safer. Buy this now and remind drivers to Share the Road. These quality plastic screen-printed license plates can be mounted with mounting screws or zap straps to the back of an electric bicycle (bike) or electric scooter.